The revolver with which Vincent Van Gogh is believed to have shot himself is to go under the hammer, a Paris auction house has said. 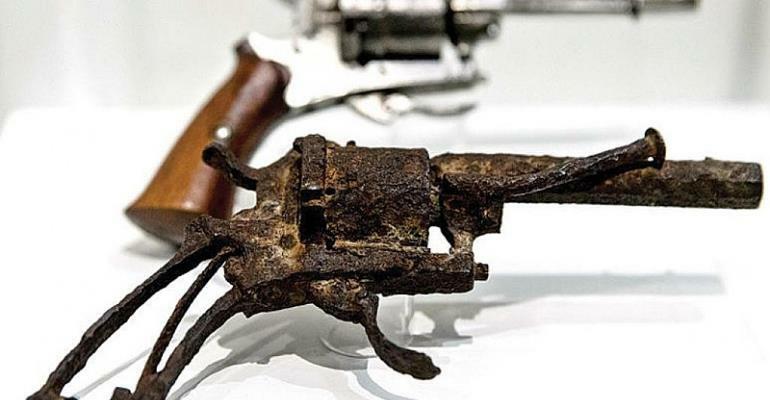 Billed by Paris' Auction Art as "the most famous weapon in the history of art", the 7 mm Lefaucheux revolver is expected to go for up to 60,000 euros when it is sold on June 19. That theory got fresh support from a new biopic of the artist starring Willem Dafoe, "At Eternity's Gate". Its director, the renowned American painter Julian Schnabel, told French news agency AFP that Van Gogh had painted 75 canvasses in his 80 days at Auvers-sur-Oise and was unlikely to be suicidal. The legendary French screenwriter Jean-Claude Carriere -- who co-wrote the script with Schnabel -- insisted that there "is absolutely no proof he killed himself. "Do I believe that Van Gogh killed himself? Absolutely not!" he declared when the film was premiered at the Venice film festival in September. He said Van Gogh painted some of his best work in his final days, including his "Portrait of Dr Gachet", the local doctor who later tried to save his life. It set a world record when it sold for €80 million in 1990. The bullet Dr Gachet extracted from Van Gogh's chest was the same calibre as the one used by the Lefaucheux revolver. "Van Gogh was working constantly. Every day he made a new work. He was not at all sad," Carriere argued. In the film the gun goes off after the two young boys, who were brothers, got into a struggle with the bohemian stranger. "Technical tests on the weapon have shown the weapon was used and indicate that it stayed in the ground for a period that would coincide with 1890," it said. "All these clues give credence to the theory that this is the weapon used in the suicide." That did not exclude, the auction house added, that the gun could not also have been hidden or abandoned by the two young brothers in the field.